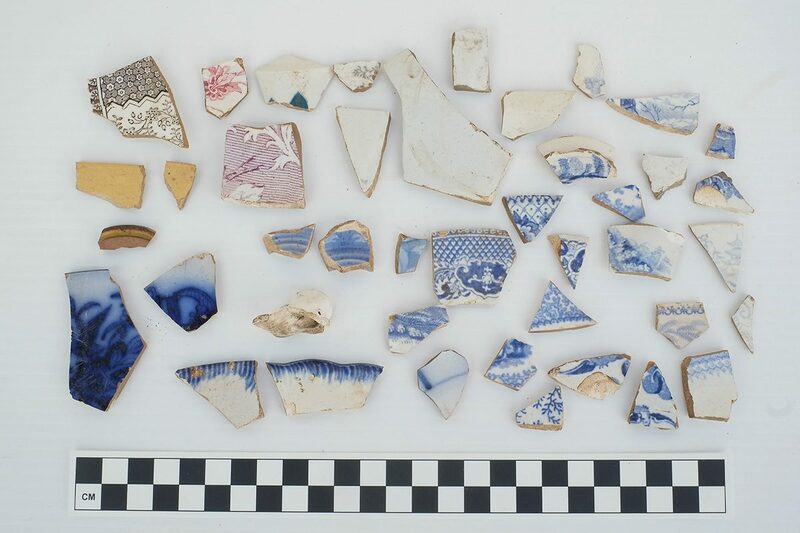 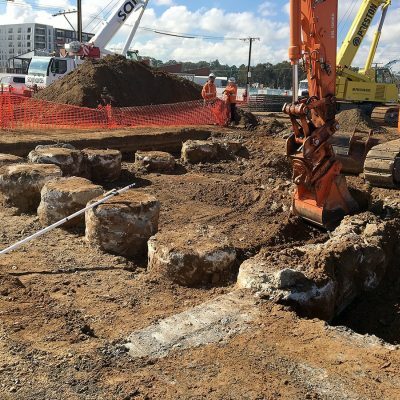 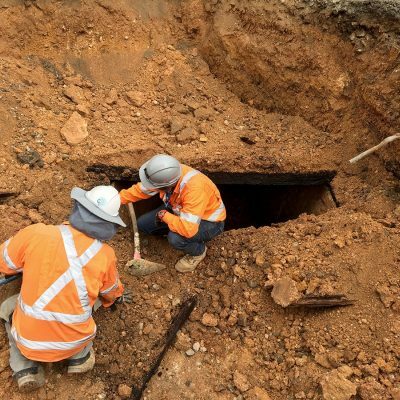 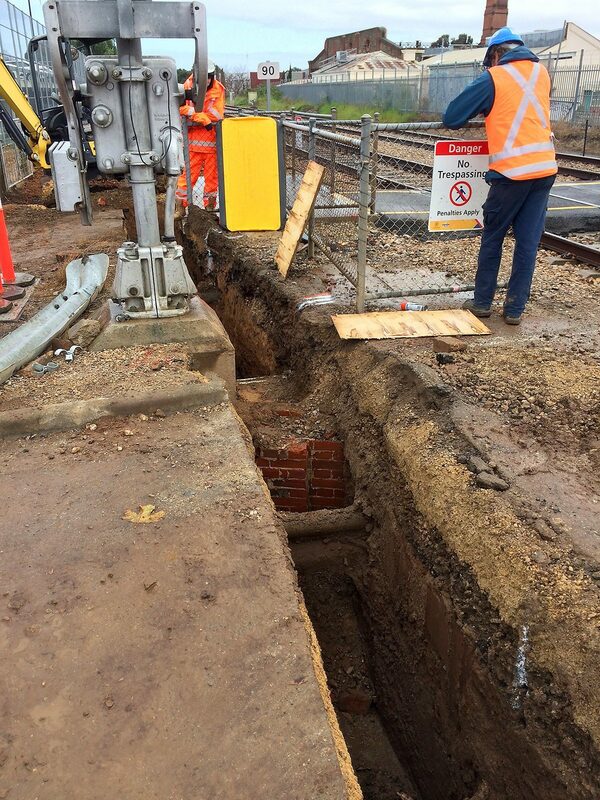 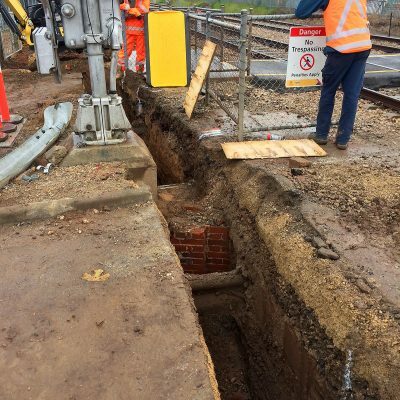 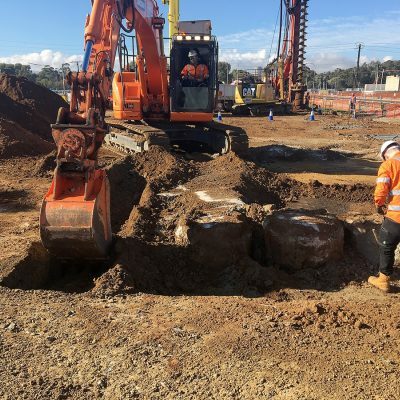 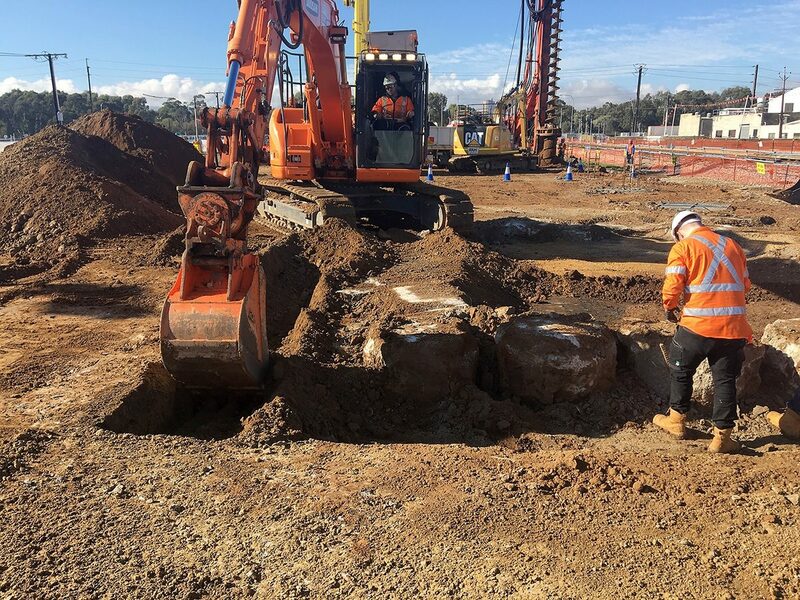 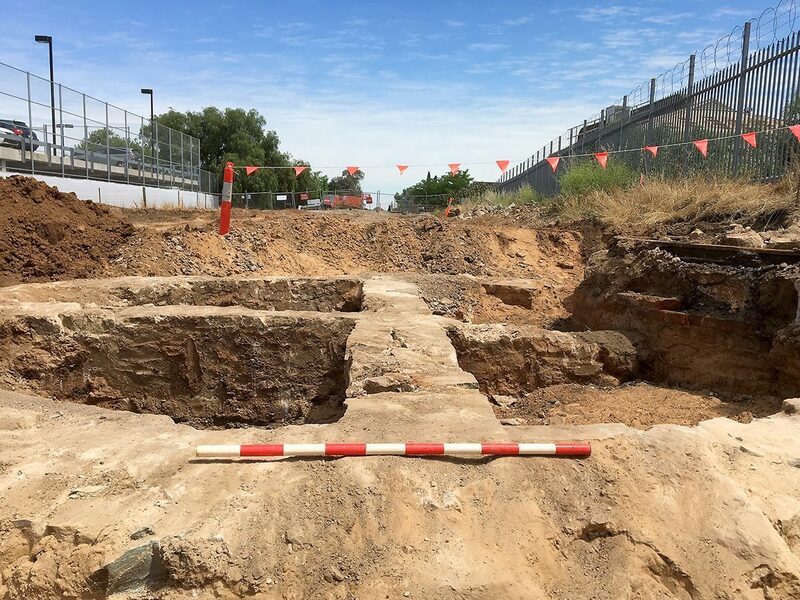 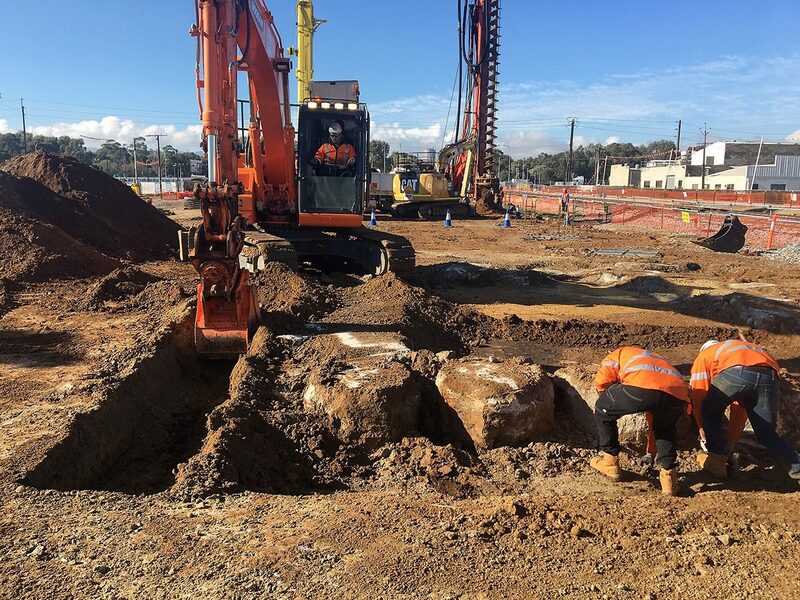 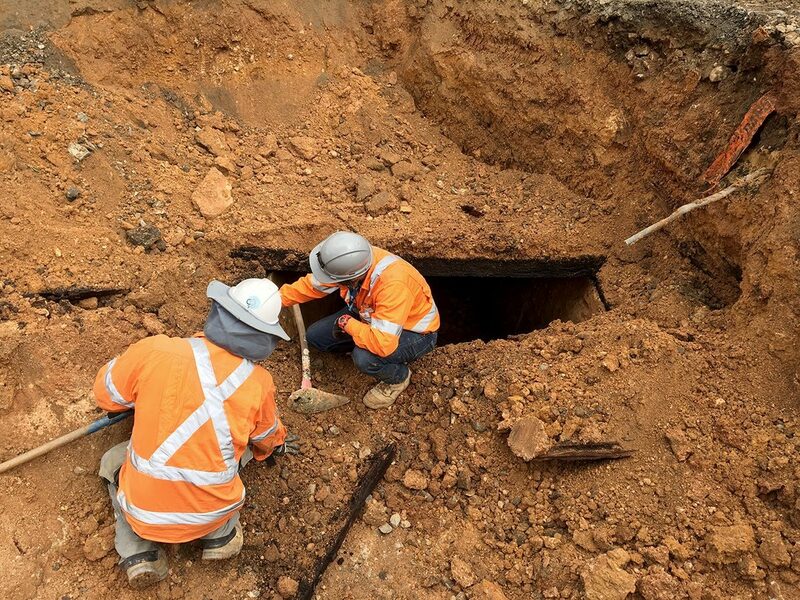 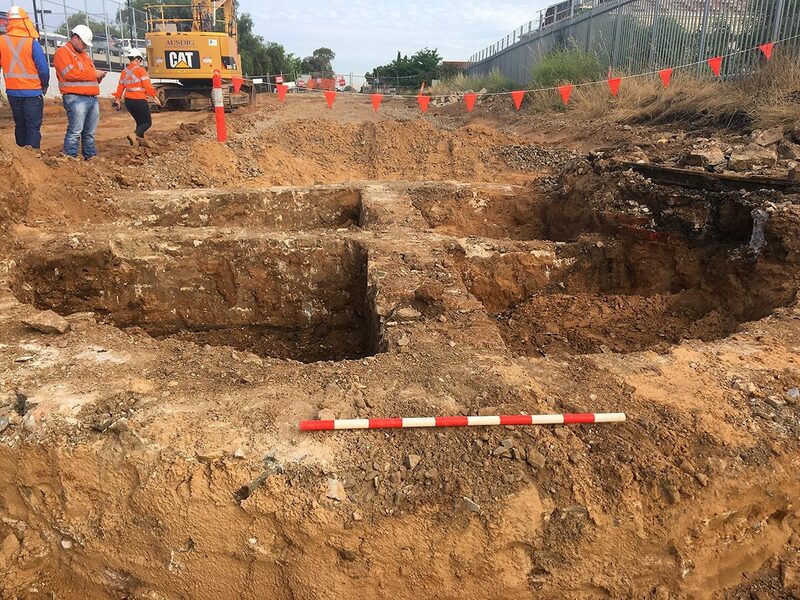 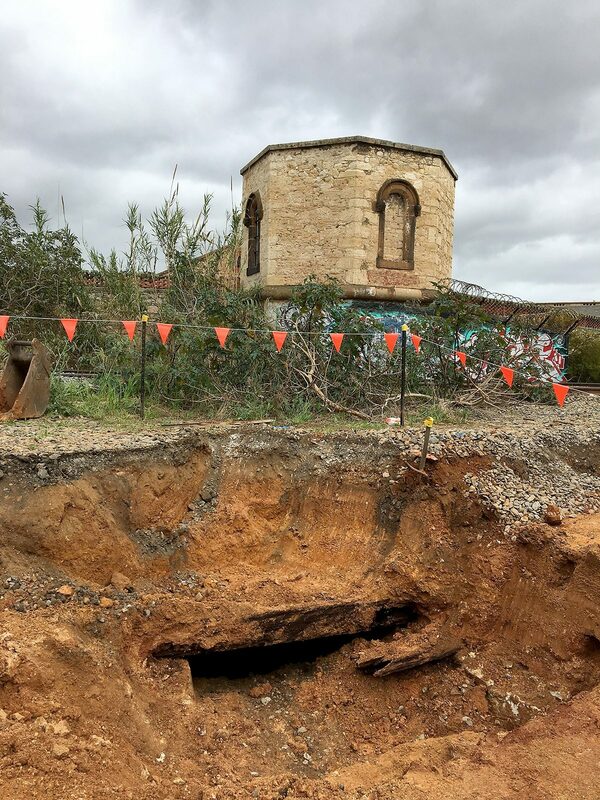 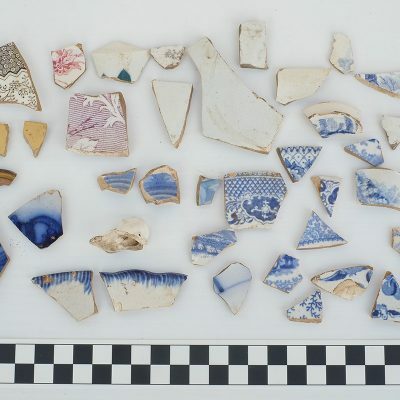 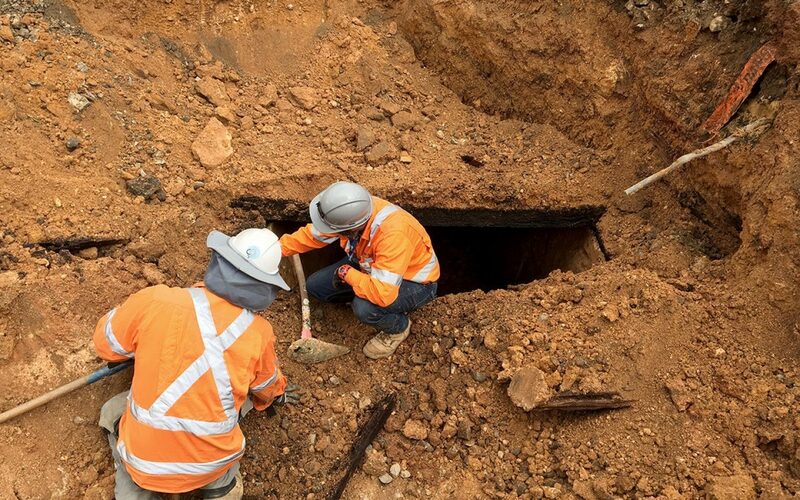 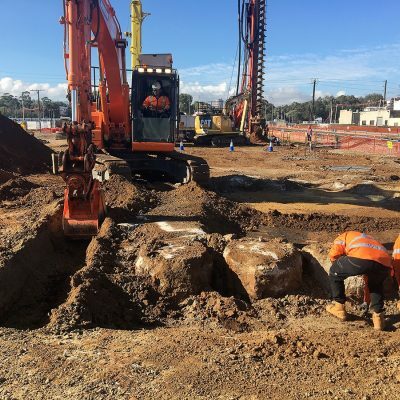 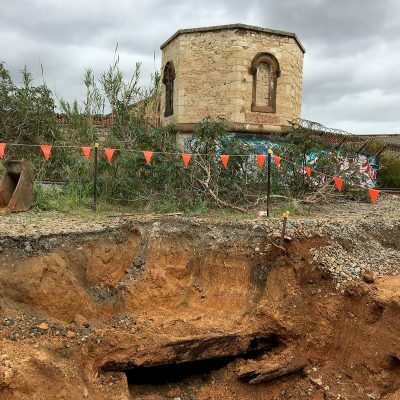 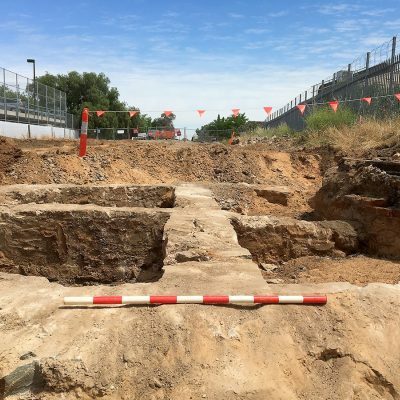 EBS Heritage was recently engaged by Laing O’Rourke to undertake archaeological services for the Torrens Junction Rail Project in the City of Adelaide. 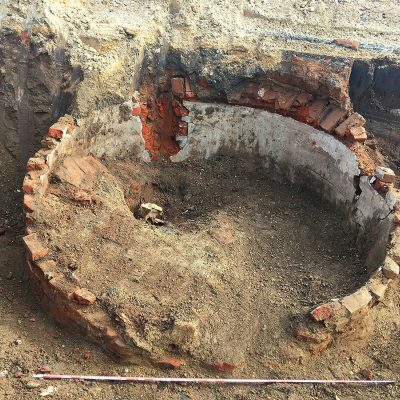 The services were in line with the conditions of a Section 27 Permit under the Heritage Places Act 1993 because of the historical importance of the Project Area. 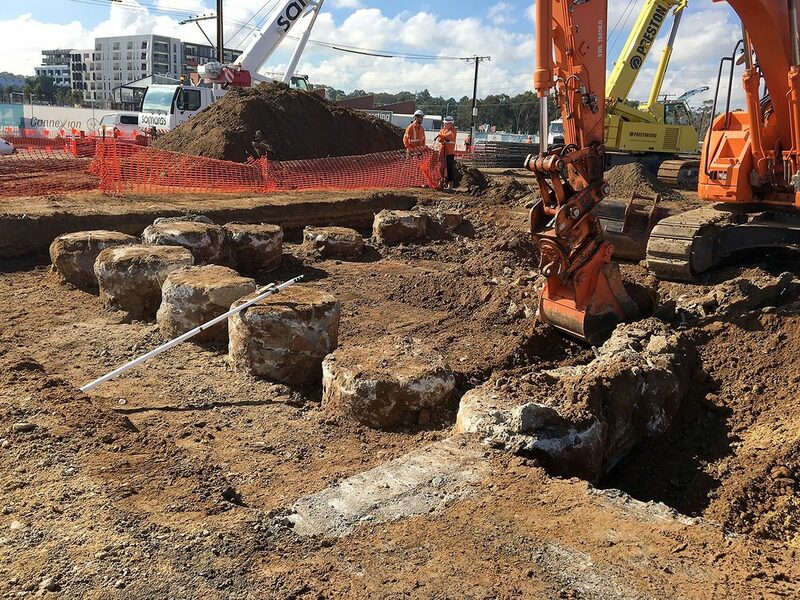 The Project Area was of historical significance as it contained the Bowden Railway Station, the second in the state, and the Brompton Gasworks, which opened in 1836 and is the single most important historical industrial complexes in the state. 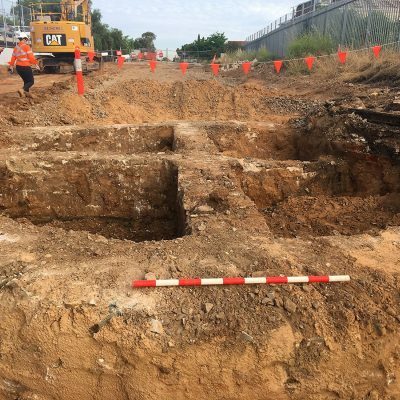 EBS Heritage is currently engaged to a range of services including general heritage advice; Archaeological monitoring and reporting; “on call” professional service; and deliver Aboriginal and European Heritage inductions. 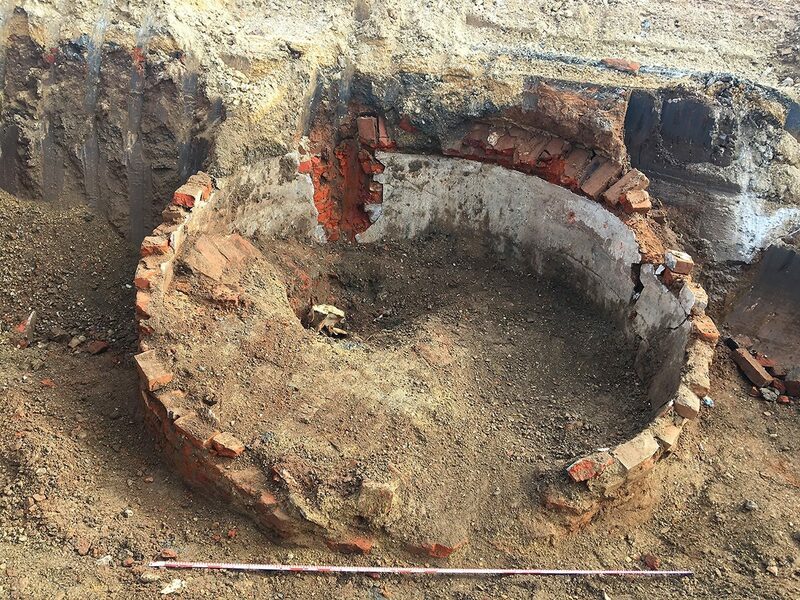 During the work a number of historical features have been uncovered including a red brick round doomed well / cistern and two railway train turntables associated with the Brompton Gasworks.